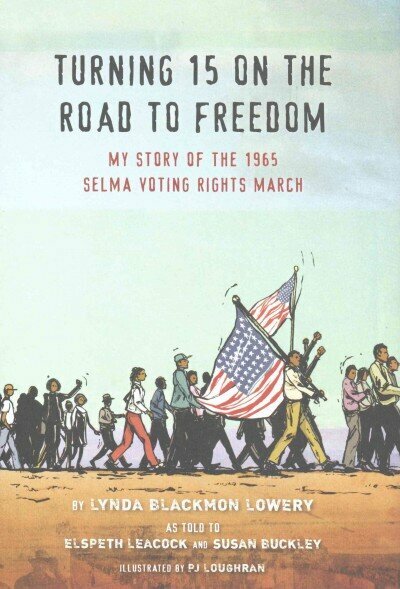 Pros: With the movie Selma, the events of fifty years ago are in the news again. This is a powerful introduction for kids and teens, told by a girl just like them, who found the courage over and over again to speak out for what she believed in. Cons: Although there is nothing terribly graphic, some of the stories may be disturbing to younger kids. There should definitely be some discussion and historical context to go along with reading this book. Summary: A parent and child work together to make a serve a dessert called blackberry fool in four different centuries. 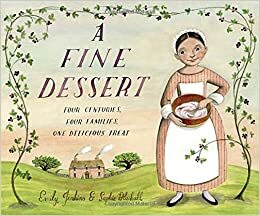 In 1710 England, a girl and her mother beat cream with a bundle of twigs to whip it, pick and strain blackberries, and store their concoction in an ice pit set into a hillside. 100 years later, a mother and daughter who are slaves in Charleston, South Carolina do the same thing, using the tools available to them at that time. The process is repeated by a mother/daughter pair in 1910 Boston, and finally, by a father and son in San Diego in 2010. The author’s note at the end suggests topics of discussion, not only noticing the changes in technology and food preparation, but also the inclusion of slaves and the fact that a boy and his father would probably not have been in the kitchen before the late 20th century. Don’t worry, a recipe is included! Pros: You won’t be able to read this book just once. It repeats the same story four times, with a new cast of characters and new century with each retelling. The menu for the dinner is given in each story, so the reader learns a little about foods people ate at that time. The cream is whipped with twigs, a wire whisk, a rotary beater, and an electric mixer, with the whipping time getting shorter with each new technology. The food is kept cool in a variety of interesting ways. The notes at the end are fascinating, explaining how the author and illustrator did their research. The illustrator’s note will send you back to the book to study the details of the pictures more carefully. This is nonfiction at its best, a book that could be used for teaching in many different ways. Cons: The two feet of snow in my backyard that prevented me from picking blackberries. Summary: When Elinor hears that poet Emily Crane is coming to their school, she decides to write the perfect poem. Through the month of April, her class studies and writes all types of poems. Try as she might, Elinor can’t get hers to be perfect. When the big day comes to greet Emily Crane, Elinor is the only one in the class with an empty pocket. One by one her classmates get on stage and share their poems. When it’s Elinor’s turn, she tells Ms. Crane that she tried but couldn’t write the perfect poem. “No poem is perfect,” the poet tells her. “Tell me what you’ve been thinking about.” Elinor closes her eyes, thinks of all the poetry she’s been studying, and creates a poem. Pros: This a great introduction to poetry, covering similes, metaphors, haiku, concrete poems, acrostics, and funny rhymes. The kids are likeable and real. We’ve all known kids (and adults) like Elinor, and she doesn’t come across as the snobby know-it-all that she could have. 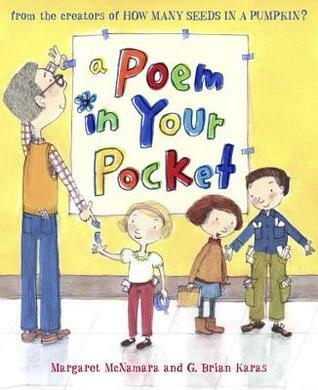 On the last two pages, Elinor gives kids some facts about poetry and her teacher Mr. Tiffin shares some pointers for teachers. Look for the other two books in this series (Mr. Tiffin’s Classroom) that teach about math and apples. Cons: All the pressure poor Elinor put on herself to perform. Summary: Miles is the new kid at school. He’s hoping to establish himself as the best prankster there, a title he held in his last school. His pranks keep backfiring, though, and he finally learns why: Niles, the apparently goody-two-shoes kiss-up kid is actually a prankster extraordinaire in disguise. 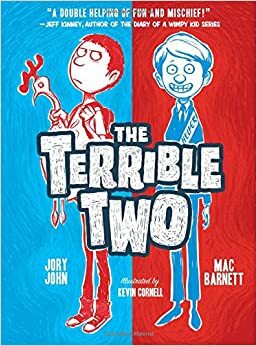 The two eventually put aside their differences and team up to become “The Terrible Two”, ultimately bringing their nemesis Principal Barkin to his knees. Pros: You can’t go wrong with a prankster, and two pranking geniuses are sure to be appreciated by the elementary school crowd. Both Miles and Niles have their different charms, and humor abounds throughout the story. Short chapters and plenty of illustrations will keep reluctant readers engaged. Cons: The whole slacker-kid-outwitting-the-adults thing has become practically its own genre, spawned by the wimpy kid. It’s starting to seem a little tired. Summary: Ten-year-old Ada has spent her entire life in a one-room apartment, kept prisoner by her mother who is ashamed of Ada’s club foot. 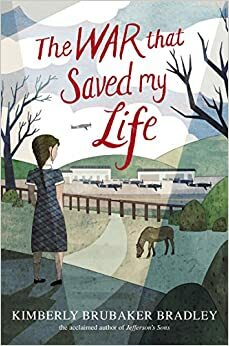 When parents are ordered to evacuate their children to the country at the start of World War II, Ada sees her chance to escape and manages to get evacuated along with her younger brother, Jamie. They are reluctantly taken in by Susan Smith, a woman who is dealing with her own grief and isolation and does not want any children in her home. Slowly, though, the children and their guardian learn to live with each other, and Ada discovers the world around her that she has been locked out of all her life. She assists during the Dunkirk evacuation, discovers a spy, and survives nightly air raids. But her greatest test of courage comes when her mother reappears and demands to take the children back home. Pros: I got this book right before two snow days. Thank goodness, because I could not put it down. Ada, Susan, and Jamie are fabulous multi-dimensional characters. The author does not whitewash their lives or their reactions to events, which only makes them more endearing. Compelling historical fiction for fourth and fifth graders. Cons: There didn’t seem to me to be adequate explanation as to why the children’s mother was so horrible. True, she was poor, uneducated, and apparently coerced into having children by a husband who then died, but it was hard for me to get a handle on why she was so hateful. Summary: A bear finds a pick-up truck filled with berries, eats them all, then promptly falls asleep. 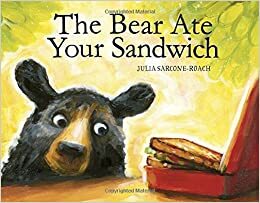 He wakes up in the city, where he smells interesting smells, finds fun places to climb and play, and eventually discovers a sandwich that he eats. Caught in the act by a pack of dogs, he runs away, finds a boat, and makes the trip back to his forest home. On the last page, the reader discovers who has been telling the story, throwing an element of doubt into the whole tale. Pros: Kindergarteners and first graders would love this story. When you find out who is telling the story at the end, this could become a good example of persuasive writing. Cons: The illustrations were colorful and fun, but a little blurry for my middle-aged eyes. Summary: A nameless girl has an adventure in every season. On a snowy day in “Winter Wear”, she takes so long to bundle up, that the snow has melted by the time she gets outside. “Spring Splendor” includes a song and dance by the girl and her dog; they even find a way to include their grumpy sleeping cat. In “Summer Sidewalks”, the girl’s hippo friend finds an innovative way to cool her off that involves a trip to the freezer. Finally, in “Fall Foliage”, the girl tells the story of changing leaves to her tree friend. 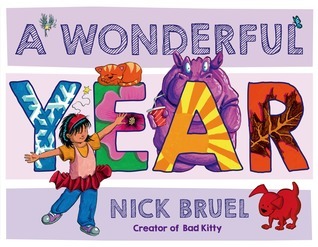 Pros: Nick Bruel has many fans from his “Bad Kitty” series, and they are sure to add this book to their list of favorites. The cartoon illustrations are bright and playful, and there is a terrific cast of characters. Kids will laugh out loud at the talking can of beans and spitting hippo. Cons: The four-panel layout on some of the pages make the pictures a little small for group read-alouds.